Retailers have lots of opportunities to offer gifts with purchase and other promotional bundles to boost sales. But what can a paving contractor offer to potential customers? Line marking, of course. This month, we helped one of the leading paving contractors in the Atlanta market craft a direct-mail message targeting prospects throughout their region. 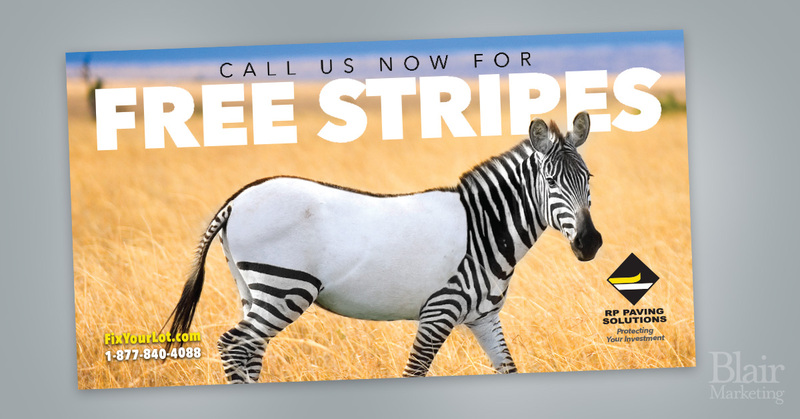 Fortunately, no zebras were harmed in the creation of this campaign.